It’s not unusual for any young kid with an avid interest in cars to dream about driving a Formula-One car, or at least attend a F1 race. However, a kid’s wildest of dreams happen to be reality for a group of engineering students at Ain Shams University. 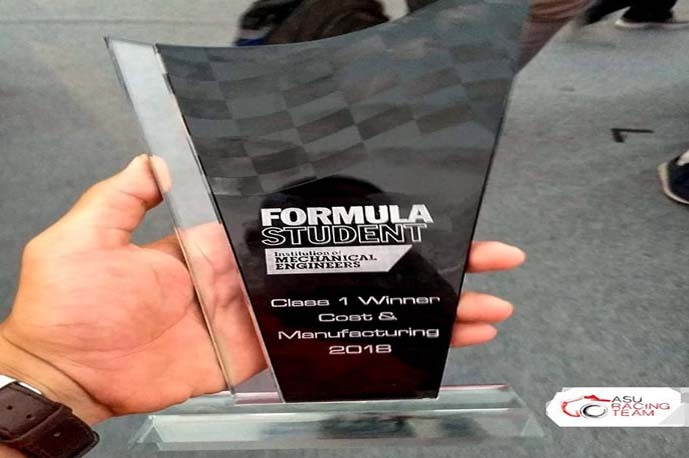 Each year, a competition called Formula Student is organised, where mechanical engineering students from around the world are invited to participate. The competition requires students to design and manufacture a racing car with very specific requirements, and high standards. 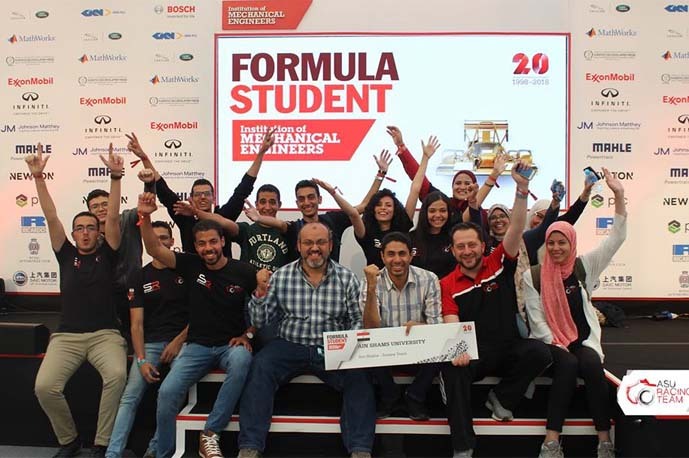 This year, the bright young Egyptian minds have made quite an impression; being the first African and Arab team to win the Cost and Manufacturing Award in the Formula Student UK competition. 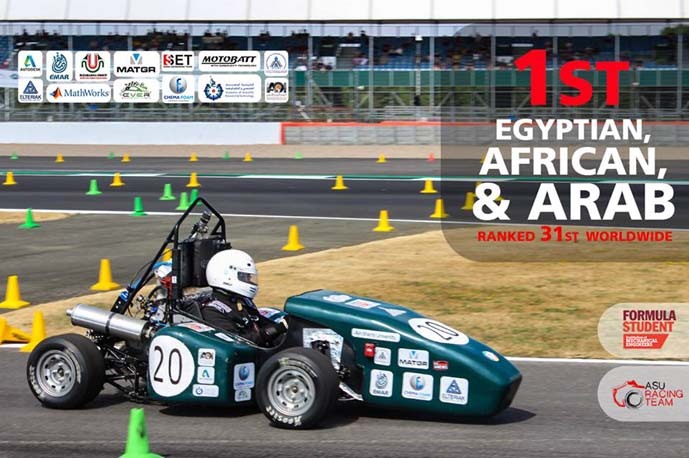 It all started in 2011, when the ASU Racing Team, as they call themselves, was founded under the supervision of a number of professors, teaching assistants, and the Dean of Ain Shams University Faculty of Engineering himself. Dreaming of manufacturing the very first fully-Egyptian vehicle, the group of young men and women worked hard to perfect their trade, and strived to improve year after year. In 2015, they won the second place in the BLC (Business Logic Case) Award, first place in 2016, and remained in the top 3 in 2017 and 2018. Also in 2017, they recorded their first participation in the racing competition on the famous Silverstone Circuit, finishing in the 28th place, out of 100 cars, quite a respectable achievement for their first entry. As well as taking first spot in the Cost and Manufacturing Award, beating top universities from all around the world to put them in the 31st spot overall, of a total of 81 competing teams, they also managed to win the second place in the BLC Award this year, putting them as the 4th best team in the Class 2 Overall Competition. We can’t tell you how proud we are of our young men and women and their impressive achievements year in and year out.